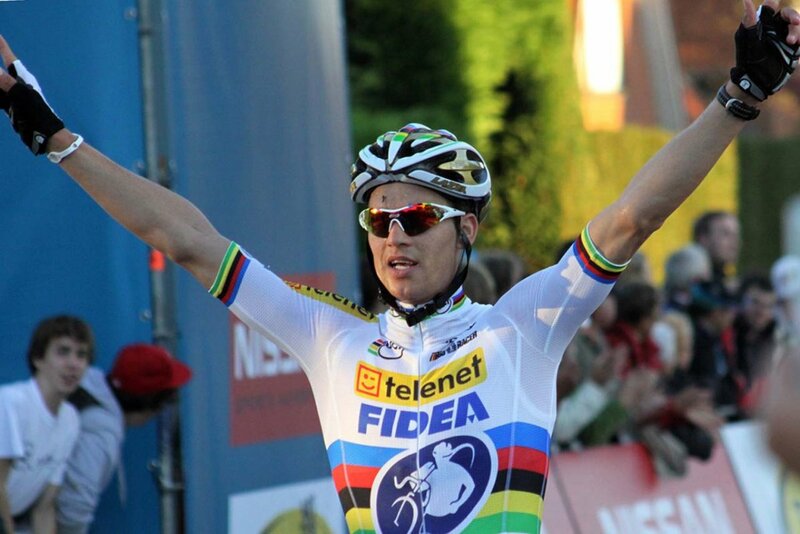 Ruddervoorde, Belgium – World champion Zdenek Stybar (Telenet-Fidea) is the man of the moment. 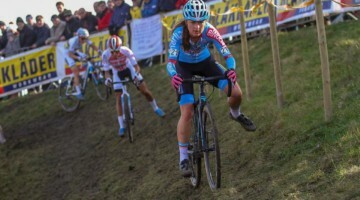 After winning the opening race of the Gazet van Antwerpen Trofee in Namur last week, he was also the best in the opening race of the Superprestige series in Ruddervoorde. 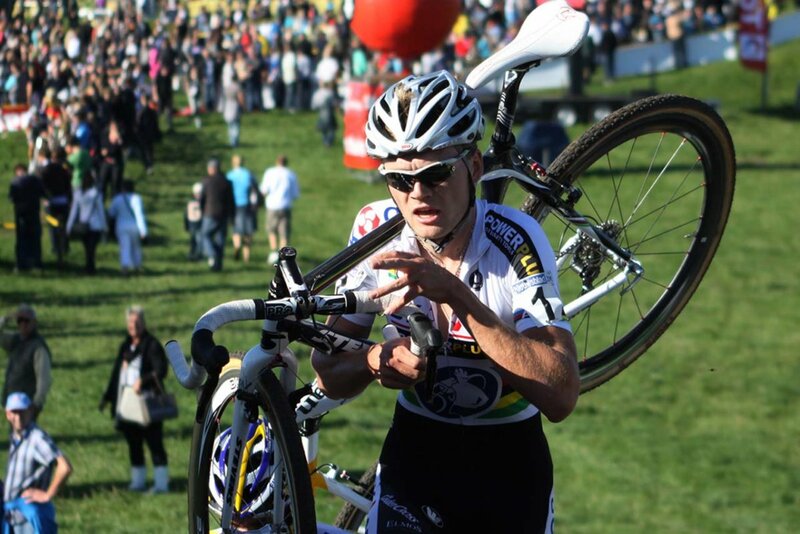 In sunny weather conditions, Stybar won after shedding Bart Aernouts (Rabobank-Giant Offroad) in the final lap. 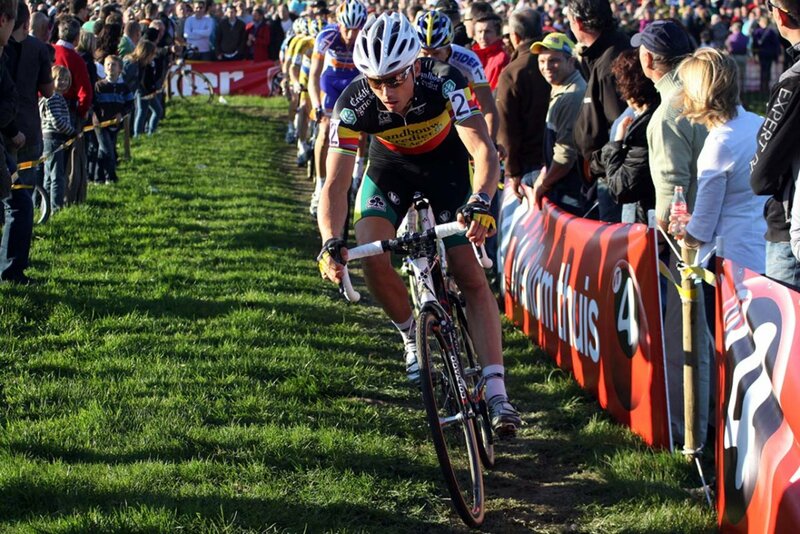 Belgian Champion Sven Nys reached the podium after coming back from a mechanical in the first part of the race. 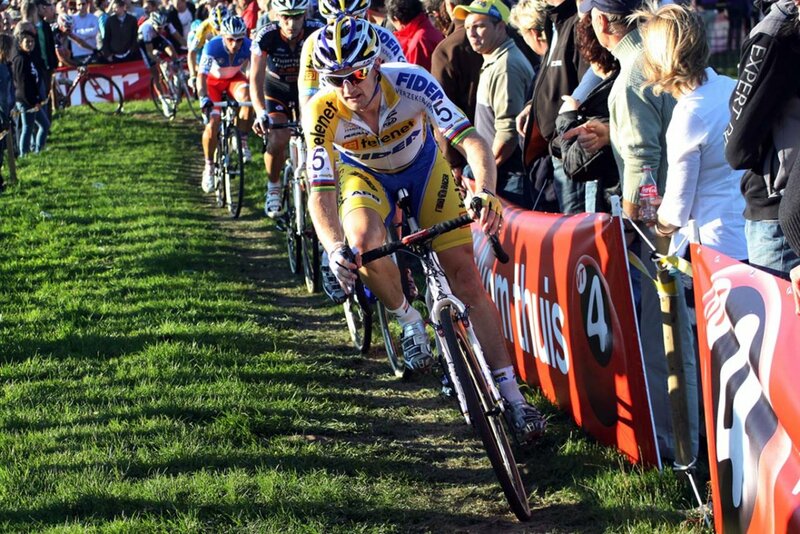 France’s Steve Chainel (Bbox Bouygues Telecom) was fourth and Bart Wellens (Telenet-Fidea) rounded out the top five. Niels Albert (BKCP-Powerplus), racing for the first time in this young season after back-to-back bouts of illness and injury, took the holeshot, followed right behind by Zdenek Stybar, Bart Aernouts, Sven Nys and the rest of the pack. But the former world champion misjudged an early turn, losing ground to his nearest competitors and triggering a chain reaction pileup behind that delayed a number of riders, including Klaas Vantornout and Phillip Walsleben, both of whom had to fight to bring themselves back into the race from behind. Albert’s bobble was all Zdenek Stybar needed to take control, joining with the impressive Bart Aernouts. The two quickly created a big gap on Sven Nys, Bart Wellens, Niels Albert, Sven Vanthourenhout, Steve Chainel and a few others, and it became clear the winner of the race was in front. Sven Nys tried to get rid of his companions but broke one of his spokes in his wheel and, by the time he changed bikes, the others had bridged up to the Belgian champion. 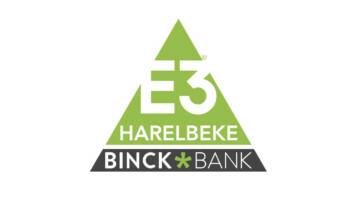 Aernouts and Stybar, who are both residents of Essen in northern Belgium and often train together, rode together for much of the race until Aernouts attacked just before a technical stretch of sand. Aernouts, who took one of the day’s few clean trips through the sand while Stybar was forced to run, emerged with a five second gap and the support of a huge crowd who had waited for some real drama for most of the race’s 60 minutes. But the attack was not quite enough, and Stybar reconnected with Aernouts on the next lap. When the Belgian rider bobbled the descent from the next-to-last set of stairs, Stybar immediately took advantage, hitting the gas and stretching a 10-meter lead that Aernouts couldn’t close. Belgian U23 Champion Jim Aernouts (BKCP-Powerplus) has won the U23 race for the Superprestige in Ruddervoorde, his first big win of the season. Aernouts took a solo win after an exciting race with a slight advantage over compatriot Vincent Baestaens (Telenet-Fidea) and U23 World Champion, and last week’s winner in Namur, Arnaud Jouffroy (BKCP-Powerplus). Last year’s winner Micki van Empel (Telenet-Fidea) took the hole shot followed by Aernouts, Jouffroy, Baestaens, Van der Haar, Joeri Adams and the others. With constantly changing positions, lots of riders had a chance to win the race. In the final laps, a group of five riders finally broke clear: Aernouts, Jouffroy, Joeri Adams, Lars van der Haar and Baestaens. Aernouts created a small lead in the final lap on his rivals to win his first race of the season. Baestaens won the sprint for second followed by Jouffroy, Van der Haar and Adams. The youth races were won by Laurens Sweeck (Juniors) and Mathieu van der Poel (Beginners).